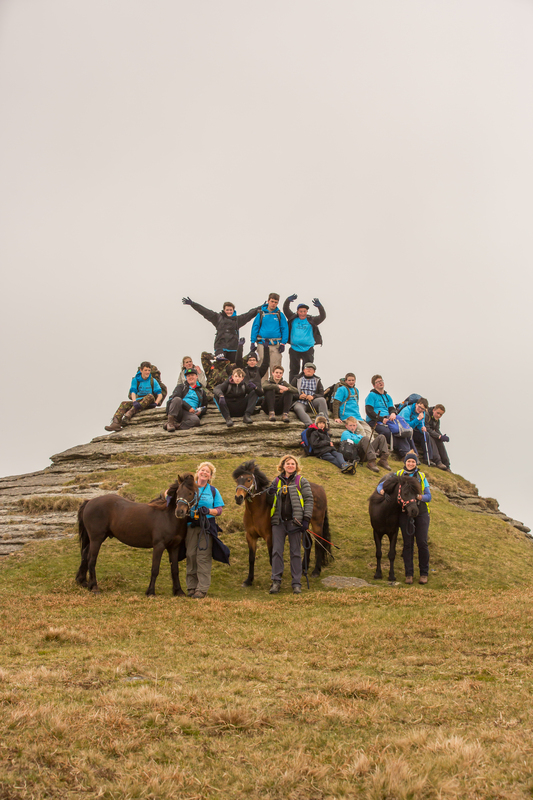 On Saturday 6th May 2017, 18 teenagers with a range of challenging life issues from secondary and special needs schools in Devon, successfully completed a demanding trek leading Dartmoor ponies across nearly 14 miles of the toughest terrain on Dartmoor. Each one will readily admit that it was the ponies that gave them the skills, motivation and desire to complete. Dartmoor Pony Heritage Trust (DPHT) ponies George, Rolo and Smartie, were the ‘platform for learning’ for the 10-week programme the teenagers worked through called ‘Fresh Tracks’ – culminating in them completing this new category at Ten Tors, one of the UK’s most demanding outdoor youth challenges, during which teams of young people navigate 35, 45 or 55 miles across Dartmoor over two days. Fresh Tracks was created and delivered by the DPHT as part of its ‘Ponies Inspiring People’ (PIP) equine assisted learning programme. When you struggle to leave the house; when going to school becomes frightening; when communicating with other people is hard; when it’s difficult to see the future because the past sits so heavily on you; and when you are a teenager – taking on a personal, physical, emotional challenge like this could easily be too much. But through completing Fresh Tracks, these teenagers demonstrated a resilience they did not know they had and a determination most had rarely shown before. 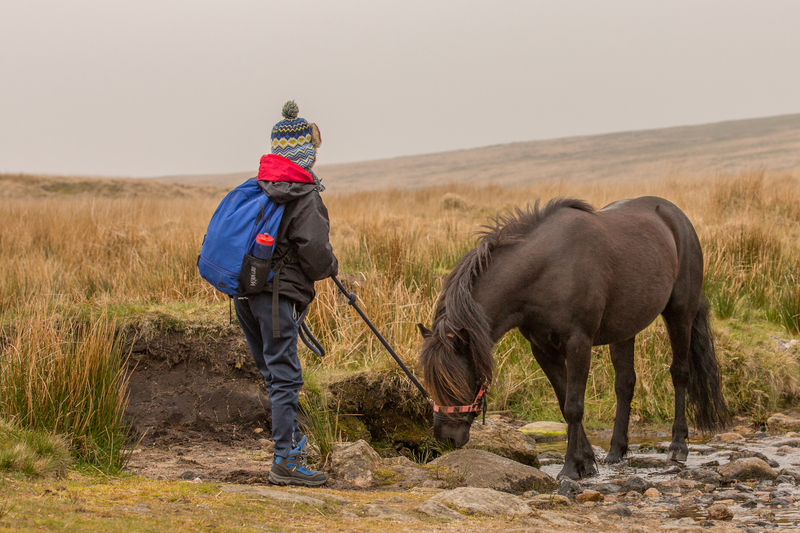 Students underwent 10 weeks of intensive training to build their handling skills with ponies, walking safely in the Moorland environment, navigation, first aid and teamwork. They are supported by trained pony handlers, moorland guides, first aiders and their own schools’ staff, as well as members of the DPHT Volunteer Team. Says Dru Butterfield, in charge of Fresh Tracks for DPHT: “Delivering Fresh Tracks is an amazing team effort. We could not deliver this without the commitment of the schools, families/carers, our volunteer guides and support team members. The primary aims of the DPHT are to preserve and promote the Dartmoor pony on Dartmoor – now on the ‘endangered breed’ list – and to promote its temperament, so encouraging people to buy them as all round family ponies and for conservation grazing. For further information about its work to preserve the Dartmoor pony on Dartmoor, and its ‘Ponies Inspiring People’ programmes, including ‘Fresh Tracks’, please see our website – www.dpht.co.uk; or email admin@dpht.co.uk or call 01626 833234. Jo Mandeville, Ivybridge Community College: “The Fresh Tracks challenge has been an unique learning journey for our students from start to finish. Along the way they have learnt about team work and empathy, they have made new friends, they have had to dig deep and find the will to go on when all they want to do is give up. We have seen their confidence and belief in themselves grow each week. Working with these very special Dartmoor ponies has helped our students to manage their emotions and raise their self-esteem by pushing them to handle situations that they would not normally find themselves in. They were a vital part of the team; team ‘mentors’ in fact. This press release was distributed by ResponseSource Press Release Wire on behalf of Dartmoor Pony Heritage Trust in the following categories: Children & Teenagers, Health, Leisure & Hobbies, Home & Garden, Women's Interest & Beauty, Environment & Nature, Sport, Education & Human Resources, Farming & Animals, Public Sector, Third Sector & Legal, for more information visit https://pressreleasewire.responsesource.com/about. IT'S OK, WE CAN DO IT!